Nose: Complex nose, with notes of saffron, nuts, leather are traversed with a fresh mint and berry aroma. Palate: A long finish in the mouth, maintained by the “rancio” alongside notes of vanilla and Madeira wine. Behold, another one of the rare beauties available from this Cognac house. 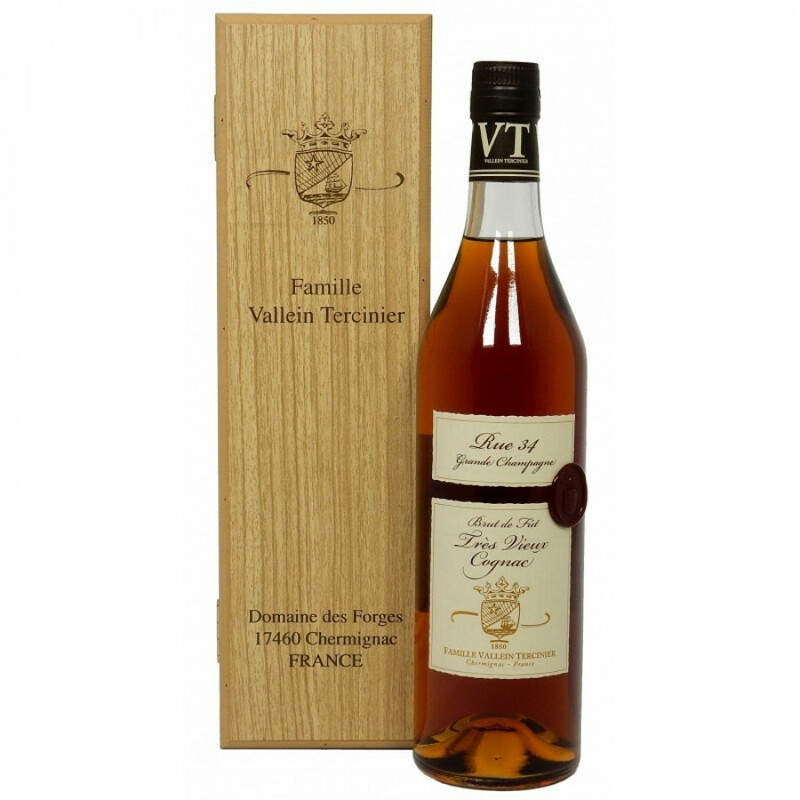 The Vallein Tercinier Rue 34 Grande Champagne Cognac is proof that the secrets stowed in this family estate’s cellar are among some of the oldest and most coveted of all artisanal brands. It was almost 80 years of age at the time of bottling in 2015, having been distilled in 1934. This Cognac does everything that everything a good Grande Champagne Cognac should do; it is long in the mouth, and complex with a sleek rancio. Naturally reduced, it is light filtered at an ambient temperature after having been matured in oak casks for many years. Bottled at a mere 360 bottles, it is a rare treasure from this Premier Cru. Descending from one single barrel, it falls into the Vintage age category. The secret to Grande Champagne Cognacs of this quality is all down to the geological makeup of this small cru. With a high chalk content, the soil is porous and makes for fine, acidic eaux-de-vie. The result, is an elegant Cognac such as the Rue 34. The house of Vallein Tercinier are based at the Domaine des Forges, from where they have been operating since the 18th century. Once Georges Vallein began producing his own Cognacs and starting his own collection of precious eaux-de-vie, he passed his expertise down through five generations, to create the small but impressive Cognac house that exists today. Presented in the classic bottle favored by Vallein Tercinier, it arrives with a wax seal on the side of the bottle. The wooden box engraved with the address of the family estate gives it a familiar feel. A Cognac of this exceptional quality deserves to be enjoyed neat.